A Sound Meditation session with Gongs, Tibetan Bowls and Chakra Chimes - Friday 22 February 7-8pm, $25. 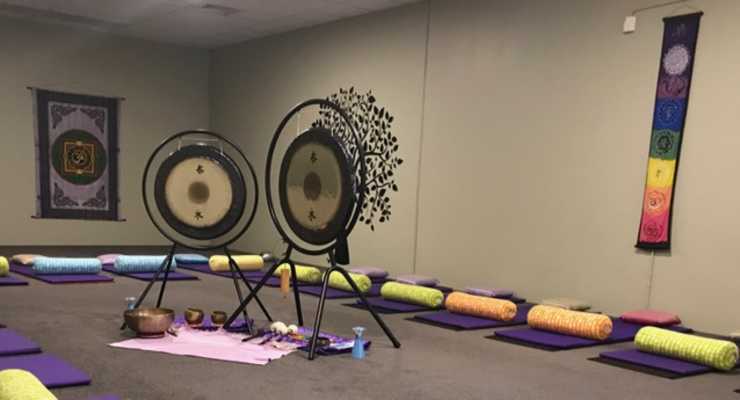 A perfect start to the weekend, allowing the body and mind to deeply relax as you flow with the different sounds around you in the cosy studio of Tara Yoga, 3/16 Comserv Loop, Ellenbrook. Mats, blankets and bolsters are supplied. All you have to do is wear loose comfortable clothing and ENJOY!! Bookings are essential and payment secures your place. Contact Sharryn on 0412 883 373 or sharryn@tarayoga.com.au to book.